Recently, popular YouTuber Jon “JonTron” Jafari made some damn extreme comments about race, which set off a chain reaction of, well, reactions across the internet. The latest consequence of Jafari’s ugly remarks: upcoming N64-era platformer revival game Yooka-Laylee is removing his voice acting. 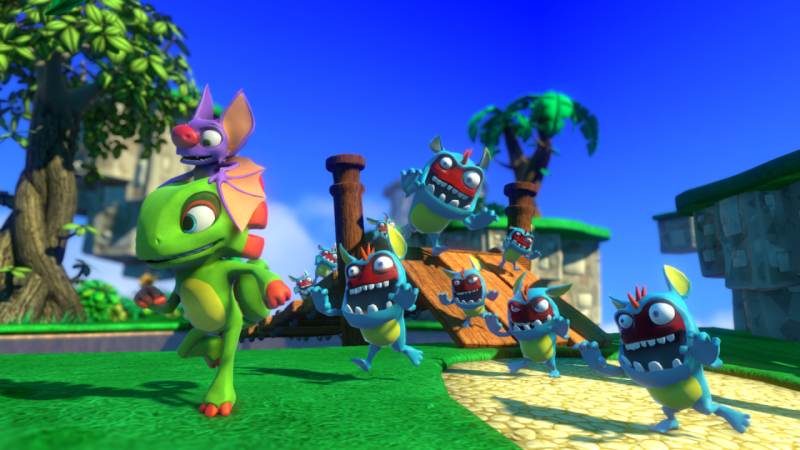 “We recently became aware of comments made by voice artist JonTron after development on Yooka-Laylee had been completed,” developer Playtonic told GamesIndustry.biz. They added that they are, on no uncertain terms, opposed to the sentiment behind Jafari’s comments, and they don’t want any of that to bleed over into the game they’ve created. I’ve reached out to Jafari for comment on this new development.